Check out our new and used dealership near Dallas, Texas. We offer tons of financing, service, and sales options to Dallas drivers. If you're looking to enjoy premium cars for sale, this is the place to be! 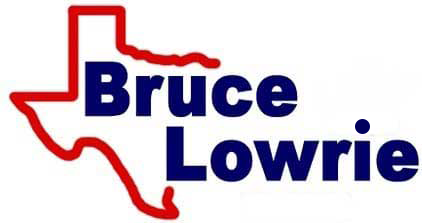 You can always count on the experts at Bruce Lowrie Chevrolet. It is our pleasure to provide Dallas drivers with reliable transportation. Our team is professional, poised, and informational. Explore the professional financing options available at our Chevrolet dealership now. We offer a large selection of lease and finance specials. Apply for financing online and explore our vehicle options. Our credit application is secure and comfortable to process. Contact our finance department about the pros and cons of buying vs. leasing and get some tips from the pros! We will happily help you secure the funding you need near Dallas, Texas. Access quality pre-owned cars for sale online through our Dallas, Texas dealership. We are happy to help you explore pre-owned cars, trucks, and, SUVs. Our sales department offers a grand selection of used cars, so be sure to visit us today. Start by heading West and make a right onto Browder Street, then proceed with a right turn onto Canton Street. From there, keep left onto Canton street and merge onto Tom Landry Freeway. Then keep right to merge onto I-30 West toward Fort Worth. In 30 miles, you'll take the exit 15B, to merge onto I-35W South toward Waco. Then you'll take the Exit 45A onto I-20 West. Then keep right toward Hemphill Street and turn left on Hemphill Street. Our dealership will be located on your right! Just remember that if you're ever in the mood for a new vehicle or need automotive service in the Dallas, Texas area! Be sure to contact our team. We look forward to serving all of your automotive needs!